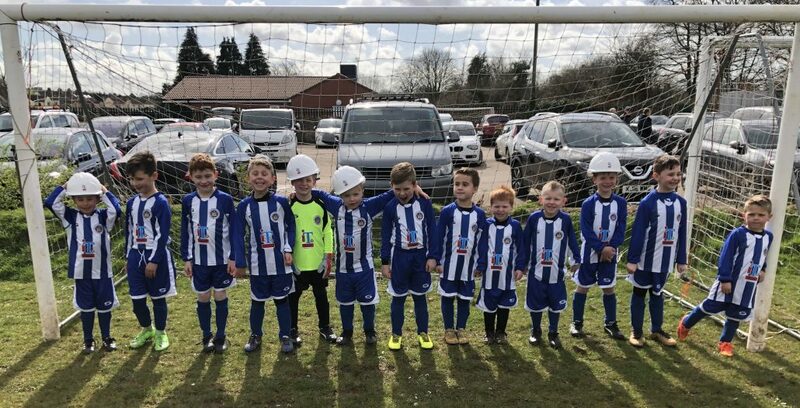 ITS Construction Personnel are proud to announce the sponsorship of Oldland Abbotonians Under 7’s Football Team. National Sales Manager for ITS, Simon Vowles, currently manages the team and his son William plays for them. This is their first season playing and are looking for new players to join them. They train on a Tuesday at 5.30pm in Oldland and play on Sunday mornings. All players will be made to feel welcome and be part of the Oldland Abbotonians family. ITS Construction are keen to promote Youth Sport in the Bristol area. ITS Construction sponsor the team and have provided them with a new kit hoping that seeing a team having fun, playing together and looking the part will help engage other children & encourage them to participate. Although ITS Construction are a National company, they operate regionally to provide a local service and engage and support their local communities whenever they can. Earlier this month, teams from the Bristol & Exeter offices took part in a Charity 5-a-side football tournament organised by Halsall Construction to raise money for the Southmead Hospital Charity. ITS Construction have been established since 1973. Over the last 45 years, they have built up to 25 successful offices across the South of England & Wales. The local office in Bristol specialises in Trades & Labour, Construction Professionals and Technical Recruitment.